LIVE CONFIDENTLY. LIVE NOW. They say life is a collection of moments. Thatâ&#x20AC;&#x2122;s why the Outback is here to accompany you through every moment and make each one count. Start all your adventures and satisfy your wanderlust with confidence. The elegantly styled Outback represents rugged goanywhere capability, versatility to enrich any active lifestyle, and safety you can count onâ&#x20AC;&#x201D;all to help you reach your destination with comfort and peace of mind. THE CHALLENGE IS THE ADVENTURE . Very little stands in your way in the capable Outback. Symmetrical All-Wheel Drive ensures outstanding grip in snow, rain or rough roads, and X-MODE with Hill Descent Control helps you conquer more difficult driving situations with increased confidence and poise. X-MODE engaged. X-MODE helps to give you reliable control with a push of a button. The technology of X-MODE takes command of the engine, transmission, Symmetrical AWD, brakes, and other components to safely navigate through challenging road conditions and varying terrain. When X-MODE is activated, Hill Descent Control automatically helps to maintain a constant speed when the Outback is travelling downhill. RUGGED C APABILIT Y. REFINED ELEGANCE . 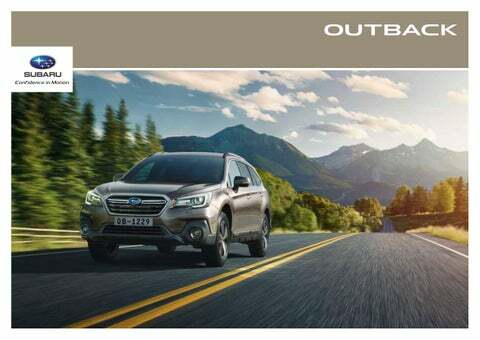 The Outback's polished and refined design represents its fine-tuned drivability and comfort, whilst its muscular and rugged look exhibits its go-anywhere performance. The result is confidence that will help you overcome any weather and road conditions to reach any destination in comfort and in style, no matter what lies ahead. Paddle Shifters For a more engaging experience, drivers can use the paddle shifters to enjoy the delight of sports driving. SI-DRIVE Based on your driving style, Subaru Intelligent Drive (SI-DRIVE) can adjust the throttle and shifting response to give you immediate power and agility when you crave it in nearly any scenario. Sport Mode This highly responsive mode is well suited for all-round conditions with its immediate acceleration. It puts the enjoyment back into high-speed driving on motorways or on winding roads. performance, it also has the looks and durability to traverse a trail or make a new one. Intelligent Mode Offering gentle power delivery, this mode is ideal for cruising around town on local streets, covering long distances, or achieving high fuel efficiency. It also provides flexible control in the rain or on snowy roads. Luggage and Seat Combinations There’s more room for more of your life. Cargo capacity has been increased to make room for up to four 80-litre suitcases, and the floor has been made even flatter to allow for greater luggage capacity. You can also change the seating configuration in an instant—thanks to the 60/40 folding rear seats—allowing you to haul large items and various passengers as needed. you instant access to the cargo area, making it especially easy to load up and go. AN INTERIOR THAT ENHANCE S THE JOURNE Y. Relax and enjoy. Rich materials and useful technology mean thereâ&#x20AC;&#x2122;s much to enjoy inside the Outback. Enjoy a more open feel with the large, panoramic sunroof. The inner sliding sunroof includes tilt-up and auto-reverse features to bring in plenty of light at your command. The cabin of the Outback was designed to provide ample space for rear passengers, and the capability to recline their seats for enhanced comfort on longer drives. The large centre console box can hold more CDs now and even has specially created holders for cards, pens and coins. A blue illuminated interior light lends a cool, sophisticated feeling to the Outback. The cup holder and console box also have that welcoming blue glow, making them easier to find in the dark. 1. Front and Side View Monitors The front grille camera can project the vehicle’s front view via the in-dash display, increasing front visibility at intersections and when parking facing a wall. The Side View Monitor displays blind spots diagonally in front of the passenger side to make navigating narrow roads easier and street parking more convenient. 2. Turn-by-turn Navigation*2 Turn-by-turn navigation instructions now appear on an LCD meter centre display, making it easier to get directions without having to look to the side for them on the navigated screen. Apple CarPlay*3 and Android Auto™*4 Use today’s most popular apps with Apple CarPlay*3 and Android Auto*4. Voice recognition capabilities allow hands-free use, keeping everybody safe whilst reducing distractions when you’re on the road. Featuring Harman/Kardon’s latest technology, GreenEdge, the premium audio system in the Outback includes 12 Harman/Kardon speakers and improved acoustics for a richer audio experience. Because the engine block has a flatter profile and sits lower in the chassis, the overall vehicle is more stably balanced and resistant to side-toside motion than other designs. The engineâ&#x20AC;&#x2122;s flat design is inherently rigid and self-balancing to achieve durability and reliable performance, generating less vibration than V-type or 4-cylinder in-line engines in the same class. delivers power to all four wheels at all times for enhanced control on all roads and in poor conditions. empower you to better avoid danger. LINE AR TRONIC Designed to get the most out of your SUBARU BOXER engine and Symmetrical AWD, the efficient Lineartronic Continuously Variable Transmission keeps the engine in its ideal power range to give the Outback its improved fuel consumption. Shift controls keep the ride light, smooth and responsive on the 2.5i engine. The shift controls have a stepped variable control that stays in tune with changes in vehicle speed and engine speed, allowing the driver to feel shift points when accelerating to form a strong and comfortable connection between car and driver. 01. Adaptive Cruise Control EyeSight*1 doesn’t only maintain the speed the driver sets as traditional cruise control does. When it senses a vehicle in front, Adaptive Cruise Control adjusts the speed to keep a set distance from the lead vehicle by monitoring the distance and the difference of the speed. It adjusts the engine, transmission, and brake to keep your speed in line with the traffic flow in a wide range approximately from 0 km/h to 180 km/h. Designed for use on freeways, highways, and similar roads, Adaptive Cruise Control actually detects a lead vehicle and its brake lamps and can help keep pace in stop-and-go highway traffic for you—a comfort and convenience on long drives. When you are distracted by fatigue and are wandering or drifting in a lane, Lane Sway Warning helps you stay alert with a buzzer and a flashing indicator. However, Lane Sway Warning only activates at speeds of approximately 60 km/h or more. When travelling at speeds of approximately 50 km/h or more and you accidentally drift to the edge of your lane and begin to depart your lane without signaling, Lane Departure Warning warns you with a buzzer and a flashing indicator before you leave your lane. 03. Lead Vehicle Start Alert When you’re at a stop and EyeSight senses that traffic has started moving again, Lead Vehicle Start Alert prompts the driver to take action with a buzzer and a flashing indicator. Whilst driving on freeways, highways, and similar roads, Lane Keep Assist can monitor lane markings with a stereo camera and detects when the vehicle begins to move out of its lane. At speeds of approximately 60 km/h or more, it can assist with steering wheel operation to help prevent lane departure to support safe driving. 05. Pre-Collision Braking System*2 When it senses an impending collision with a vehicle or other obstacle in front, the Pre-Collision Braking System can warn the driver with a buzzer and a light on your dash. If the driver still does not take evasive action to avoid the collision, the system can automatically apply the brakes to reduce any impact or, if possible, prevent the collision. If the driver takes evasive action to avoid a collision, Pre-Collision Brake Assist can act to aid the driver in preventing the collision. Also, Pre-Collision Steering Assist helps drivers make a sharp turn to avoid a collision when it spots a potential frontal impact. 06. Pre-Collision Throttle Management When EyeSight sees an obstacle in front of you and you put the vehicle in Drive instead of Reverse, Pre-Collision Throttle Management sounds several short beeps, turns on a flashing indicator and cuts the engine output to help you avoid a frontal collision. Vehicle Dynamics Control System monitors and analyses if the vehicle is following the driver’s intended course via an array of sensors. If a tyre slips or a high-speed turn moves the vehicle off its intended path, the AWD torque distribution, engine output and brakes at each wheel are adjusted to assist in keeping the vehicle on course. The Ring-shaped Reinforcement Frame strengthens the passenger cabin from the roof to the doors, pillars and floor. This design helps to divert and dissipate impact energy away from the occupants in a collision. It also contributes to strengthening and lightening the chassis, leading to greater, reinforced protection. Front Seatbelts with Pretensioners and Load Limiters Height-adjustable front seatbelts feature pretensioners to hold passengers firmly in place, and load limiters that ease peak forces to the chest. We adjusted the frame to increase your visibility and decrease your blind spot area. We also installed front quarter windows with doormounted side mirrors to reduce the front blind spot for increased forward visibility. Advanced Safety Package: High Beam Assist (HBA)* 1 High Beam Assist increases visibility and safety when driving at night by toggling the Outback's high beams on and off automatically, depending on driving conditions. Subaru Rear Vehicle Detection (SRVD) uses sensors placed around the vehicle to alert you of vehicles in your rear blind spots for safer lane changes, and can also warn you of potential collision danger, whilst driving in reverse into a street with cross traffic. 5-Star Euro NCAP Rating The Outback has been awarded the maximum five-star safety rating in the latest round of Euro NCAP (The European New Car Assessment Programme) safety performance test. Supplemental Restraint System (SRS)* 2 Airbags Front SRS*2 airbags, front side SRS*2 airbags, curtain SRS*2 airbags, and knee SRS*2 airbags come standard on the Outback to give all passengers a higher level of protection in the event of a collision. Head Restraints on Front Seats Adjustable for both height and angle, head restraints are designed to accommodate passengers of different sizes and comfort preferences. *1 The driver is always responsible for safe and attentive driving and observance of traffic regulations. Please do not depend solely on the Advanced Safety Package features for safe driving. There are limitations to the recognition features of this system. 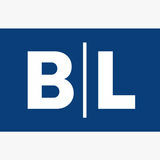 See Owner’s Manual for complete details on system operation and limitations. Please ask your retailer for more details. *2 SRS: Supplemental Restraint System. Effective when used in conjunction with seatbelts. 8-way Power Adjustable Driver’s Seat (with Lumbar Support) Find your ideal driving position with this 8-way power adjustable driver’s seat. Roof Spoiler Sophisticated and aerodynamic, the roof spoiler of the Outback is integrated seamlessly into the rear gate. The back side of it is coloured in black without coating to give it an outdoor feel and to help hide any scratches made when you’re loading cargo on the roof carrier. USB Power Outlet (Front and Rear) Keep all your electronic devices fully charged and ready to use with easily accessed USB power outlets for both front and rear passengers. Front Fog Lamps These efficient lamps reflect less glare in fog for added safety. MAKE YOUR OUTBACK T R U LY Y O U R S .
content such as 360-views and videos. with the same fit and quality as your Subaru vehicle. For more details, ask for the accessory brochure or visit your nearest Subaru retailer. eBrochure Experience the Subaru dynamic eBrochure for more details, including videos, photos and more. Dimensions are measured in accordance with standard measurement of SUBARU CORPORATION. Visit our global homepage for complete information and news about Subaru and our vehicles. Subscribe to our channel to see all the latest videos and join the conversation about Subaru. Stay connected to our diverse Subaru community, and be the first to hear the latest news directly from Subaru. SUBARU CORPORATION reserves the right to alter specifications and equipment without notice. Details of specifications, equipment, colour availability and the accessory lineup are subject to suit local conditions and requirements. Please inquire at your local retailer for details of any changes that might be required for your area. Not all features, options, or packages are available for all models and regions. See your specification sheet for availability. Please contact your local authorised Subaru retailer for more details.